We can't wait for the press opening on 5/8! 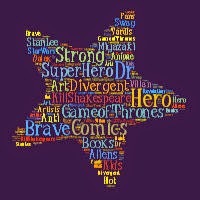 We'll be there to review for ChiIL Live Shows/ChiIL Mama, so check back like we vote in Chi, IL... early and often, for our take on all the hottest Chicago shows. In the mean time, get your tickets squared away! Show dates are selling fast. 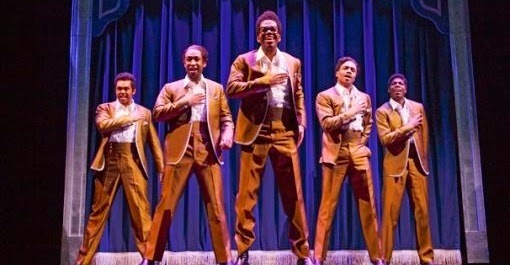 It began as one man's story... became everyone's music... and is now Broadway's musical. 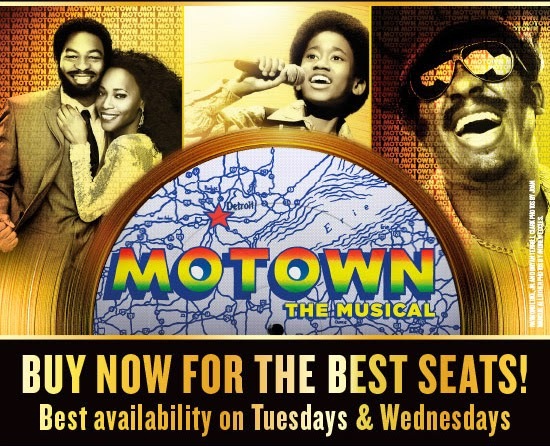 MOTOWN THE MUSICAL is the true American dream story of Motown founder Berry Gordy's journey from featherweight boxer to the heavyweight music mogul who launched the careers of Diana Ross, Michael Jackson, Smokey Robinson and many more. 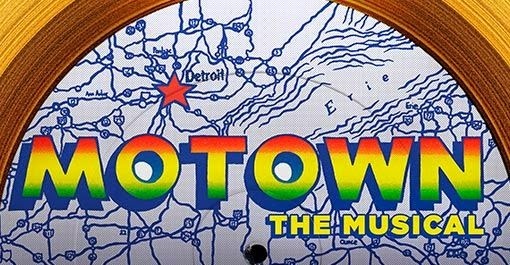 Motown shattered barriers, shaped our lives and made us all move to the same beat. 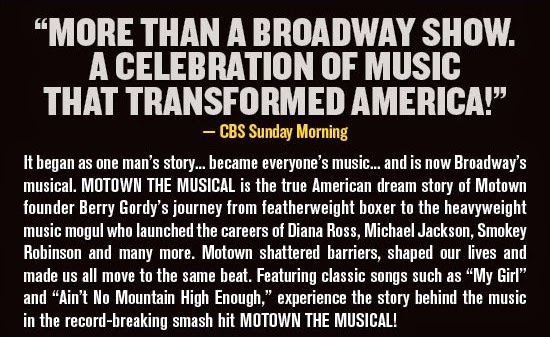 Featuring classic songs such as "My Girl" and "Ain't No Mountain High Enough," experience the story behind the music in the record-breaking smash hit MOTOWN THE MUSICAL!